Sewer cleaning can be a very messy job. Many homeowners do not realize this, but most cities do not repair lines that touch a specific property. This means that if the sewer line that runs to your house becomes clogged or damaged, it is your responsibility to have it cleaned and repaired. Because of this, you need a sewer repair you trust to get the job done right without charging too much money. 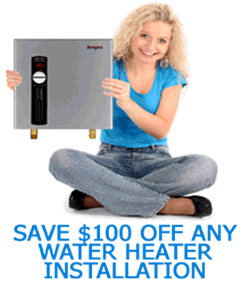 Sugar Land Water Heater may be the exact company you need. There are many things that can cause sewer pipe damage. Because these pipes are placed beneath the ground, frozen temperatures can cause them to become cracked. Also, you may experience a leak in your pipes if your seals have broken. 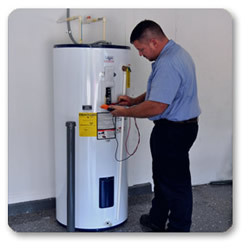 At Sugar Land Water Heater, we possess the expertise and the equipment to perform a sewer repair without doing damage to your driveway or yard. In most cities, the homeowner is responsible for it septic system. Even though septic tanks are highly undervalued by most, they can be very expensive to replace, sometimes costing $10,000. To avoid an expensive sewer repair bill, it is important to practice proper maintenance. You can do this by calling one of our professionals at Sugar Land Water to perform routinely perform inspections to check for clogs, leaks, cracks, and more. A clogged toilet is a problem many homeowners face. Most of the time, a plunger will be all you need to fix it, but this is not always the case. If you experience a clog and your plunger is not getting the job done, you will a professional sewer repair service. 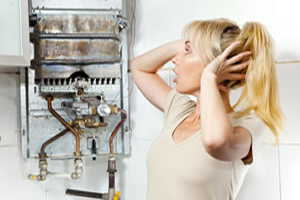 Give Sugar Land Water Heater a call to have your problem solved and your toilet unclogged in minutes.